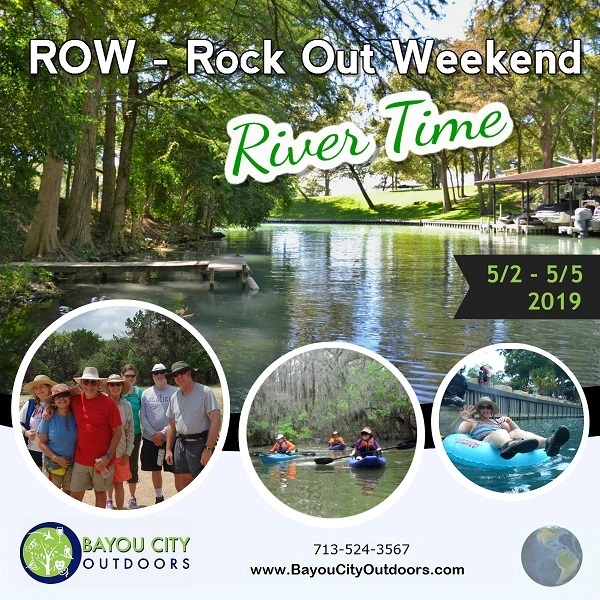 New this year: River ROW Weekend 2019! Events will spring up on the spur of the moment, people will choose to just hang out at the river all day and some will go all-in on all the events. Do know that we will bring kayaks & SUP's so you can jump in the water and swim or paddle at any time, we're on the lake section of the beautiful Guadalupe! There is more than enough in the area to keep us busy. Hiking, water fun, zip lining, climbing, wine tasting, and a thousand things to do in New Braunfels. Lunch is on you - plenty of dining in the area! If you don't have a roommate, we will work with you to get the best roomie ever! Please note, these are nice cabins but not super upscale! Clean, lots of bathrooms and plenty of parking. 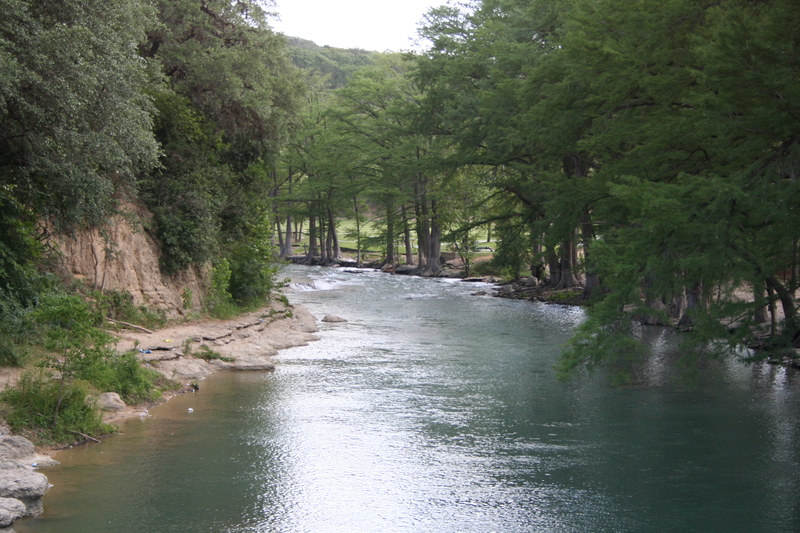 Deep in the heart of the Texas Hill Country, right between San Antonio and Austin, is beautiful New Braunfels, Texas. Founded in 1845 by German settlers, New Braunfels is overflowing with old world heritage and small town Texas charm. 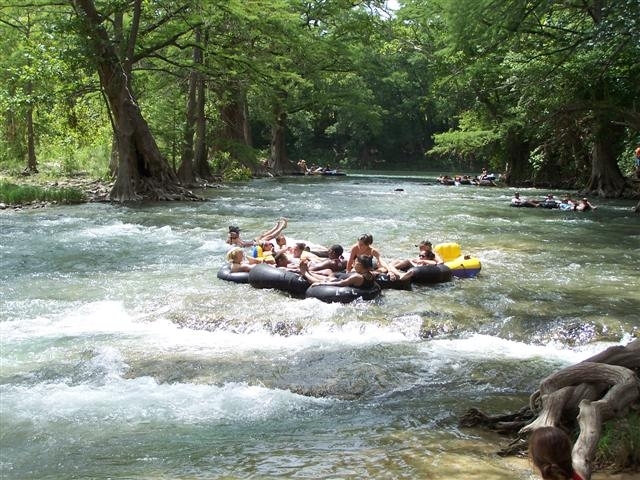 Two beautiful rivers, Schlitterbahn Waterpark if you like, tons of hiking in the area, Natural Bridge Wildlife Ranch & Caverns, Vineyards, the activities are endless. Also home to Texas’ oldest bakery & oldest dance hall. 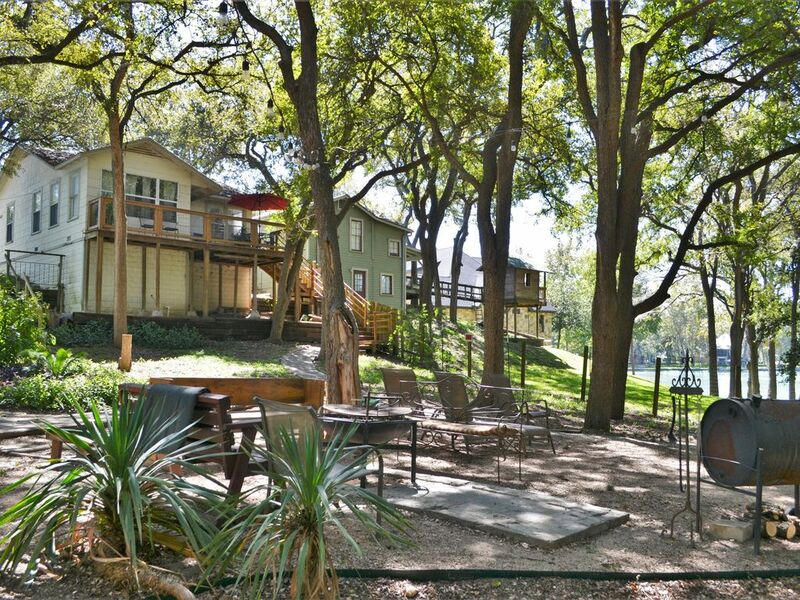 We have rustic cottages on a tree covered waterfront. 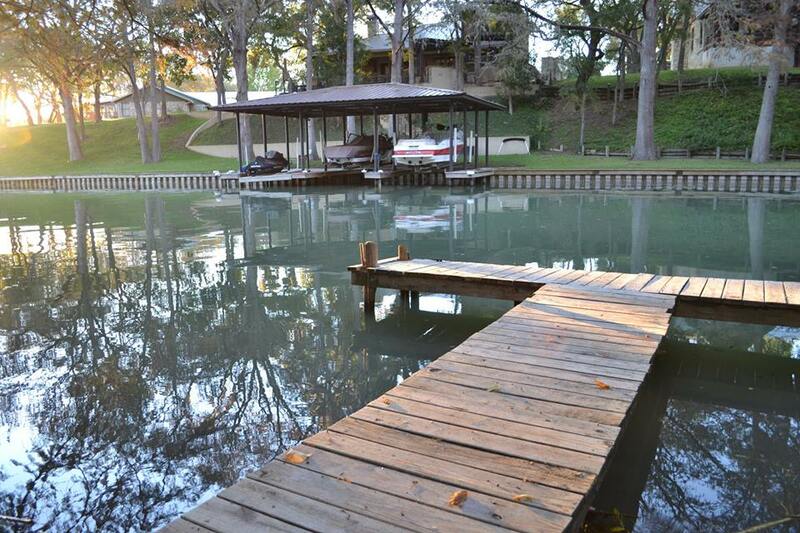 Cottages with multiple bedrooms and baths, kitchens, and patio facing the lake. Bring your boat or jet ski if you want, we'll bring the kayaks. 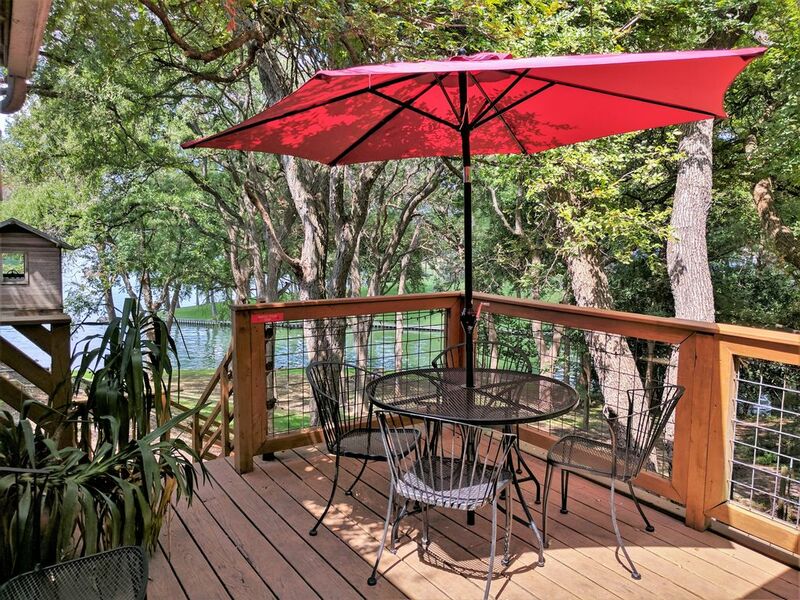 Barbecue pits, hot tub and plenty of shade to relax under. We have room for about 50 people. * New to BCO or just never made it to the "Rock Out Weekend"? Every year more people came and we had to find a bigger house until we settled on a yearly event with a little bit of everything. Hiking and biking, swimming and kayaking. 1000's of stars and room for everyone. It's "rustic" (don't expect mints on the pillows) and comfortable. 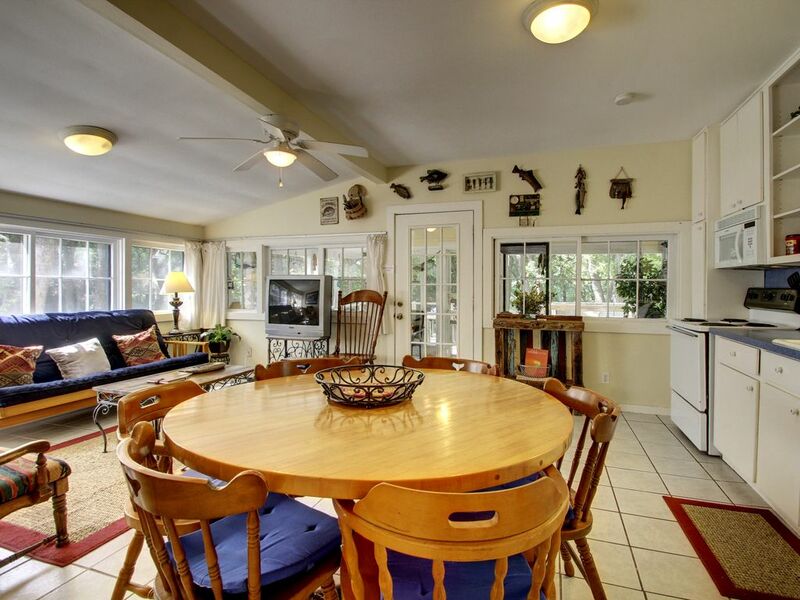 There are always several cabins of varying sizes scattered around the properties. We do our best to accommodate, help people find roommates if you need one and make sure the rooms fit the people. No worries, there is no shortage of bathrooms. There are also refrigerators, mini-kitchens, feel free to also bring your own coolers. Before the weekend kicks off, there will be numerous events posted on the BCO calendar for the weekend. These events always include hiking, kayaking, biking in the area. Rock climbing in the area. Swimming in our private swimming hole, sightseeing all around the area. Wine tasting & even whiskey tasting at times. In addition to the events that are posted on the calendar, there are whiteboards for last minute events, event changes, event ideas, pretty much anything to do with events.......Can't wait to have you join us!